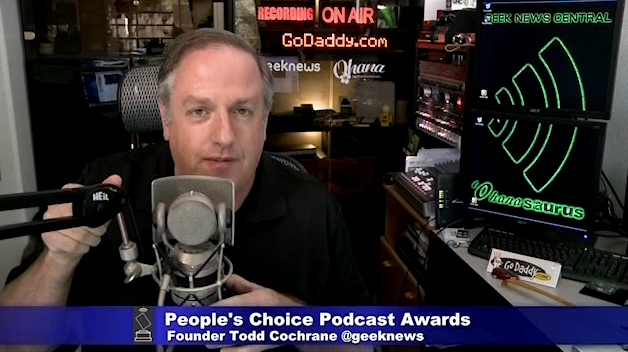 People’s Choice Podcast Award Founder welcome and commentary for the now open nomination period. 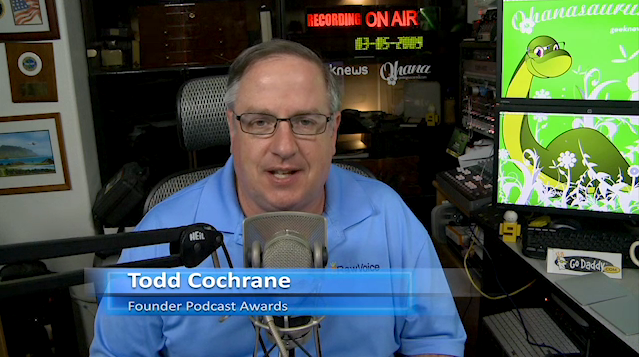 Over the years I have been asked to change the way the Podcast Awards process work. Everyone has an opinion until it comes to determining an execution strategy on how to make it happen. My goal with the Podcast Awards has always been to execute it with transparency, so that every show that is nominated has a chance of winning. Podcasters have always also said that their shows have extremely high engagemente with their audiences. That is why the Podcast Awards are the “People’s Choice Podcast Awards”. As we lay out in the rules on the site the process is simple and broken down into three steps. 1st is the nomination period of 15 days: Shows engage their audiences to nominate them in the category they feel they are most aligned to. Fans get to only nominate their slate of podcast one time to prevent ballot stuffing. So we want the podcasters to make sure they tell their audiences that they get a single chance to nominate a full slate of 22 shows. 2nd is the Review: Being my show and family of shows are not eligible to win. I recruit 44 listeners from my audience to do the review process which takes on average 4 hours per category. Each of those reviewers review 2 categories each. This results in each category being reviewed by 4 separate listeners. So exactly what do we provide them. They get the full list of shows that where nominated in the specific categories they are assigned. We ask them to review the 30 top nominated shows in each category. They are provided a confidential non-releasable grading sheet that has the following elements. Verification that the Podcaster has a visible RSS 2.0 feed with Enclosures on his home page! Once validated the sheet then has 4 sub sections that have a variety of elements associated with the section and a weighted grading scale. This review and scoring is then averaged across the 4 grading sheets, per category to come up with a top 10 in each category. We have seen in the past where shows with much lower nomination numbers made the top 10 slate by beating other shows by scoring very high on the grading elements. 3rd is the Daily Voting. This is the most controversial part of the process. I fall back to engagement. If you have an engaged audience, smaller shows will beat bigger shows hands down. So in this stage we see what shows have the most engagement with their listeners. Is the process perfect, no process is perfect, but it is the most transparent process I have found to date. We eliminate personal biases by having a big enough pool of listeners to review the nominated shows, and by cross examining grading sheets we are able to ensure the slate nominated is a sound slate of shows. The rest is up to the listeners of the shows nominated. Shows often help shows by sending votes their way if they where not nominated. This is where having alliances with other shows help in a big way. Podcasters often forget to work with other podcasters and many times shows with alliances with other shows will beat bigger shows easily..
Podcast Connect is very pleased to announce that we have teamed up with New Media Expo to host the 8th Annual Podcast Awards Ceremony in Las Vegas Nevada at a evening event Jan 6-8. New Media Expo has also agreed to make it nearly impossible for a nominee not to attend. Special speaking and live podcasting opportunities! This is a great opportunity for a corporate sponsor to step up and support the venue activities. If you are interested in becoming an awards sponsor, please email me and I will connect you with the New Media Expo team. 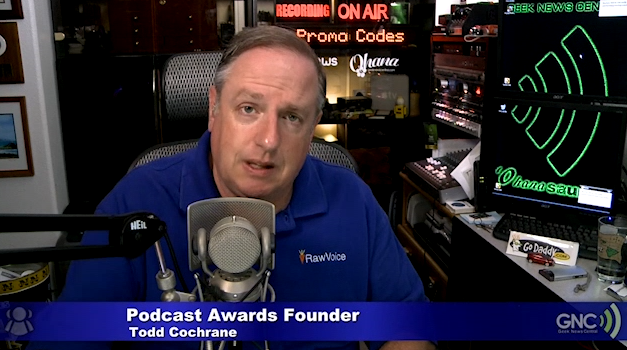 The 8th Annual Podcast Awards nominations Open on October 1st. Please see PodcastAwards.com for rules and details. As always we are looking for sponsors for the 2013 event. 7th Annual Podcast Awards Slate Announcement! We kick off nominations in just a few days and I want to prep everyone on the process.. Peoples Choice – Tell ‘Em Steve Dave! The 6th Annual People’s Choice Podcast Awards nominations open on November 7th 2010. Please visit PodcastAwards.com and review the rules for the 2010 event. As I sit here in early July I have to start thinking about the 2010 Podcast Awards. Honestly the past couple of years the event has been exhausting. It takes up well over 100 hours of my time each year to pull off. Last year was the first year that we did not break even financially, after paying all expenses and increased trophy costs. I had about a $1000.00 in additional expenses that came out of Podcast Connects pockets. The goal is break even not loose money! So the question I am asking myself should the awards continue. I am also irritated that last year we went to all that work and less than half of the winners were willing to come on the awards show. Plus Ustream.tv even though we warned them multiple times, got blown out when we went over 4000 people on the live stream. While I will likely punish myself maybe it is time to bring in some podcasters to help. What do you think?